I was diagnosed with Celiac Disease last Tuesday…happy Valentine’s Day to me. I have basically been plastered to my computer screen researching Celiac Disease(CD) and gluten-free(GF) diets for a week. I especially love reading about personal experiences. From what I gather, most people spend years and years trying to get a proper diagnosis for themselves. I feel very fortunate that I did not have to go through the pain for a long period of time. For those people who did: I call you warriors. I thought it was unbearable living with the pain and confusion for 2 months! Good day to you. Recent tweets on Twitter have caused me to research the relationship of Gluten and Autoimmune diseases such as Celiac and other diseases. To review, the definition of Gluten is: “A protein consisting of a mixture of glutelin and gliadin, present in cereal grains (such as barley, rye, and) wheat.” — source: www.dictionary.com. Also, the definition of an Autoimmune disease is: “A disease resulting from an immune reaction produced by an individual’s white blood cells or antibodies acting on the body’s own tissues or extracellular proteins.” — source: www.dictionary.com. As you may know, Autoimmune diseases attack a number of bodily systems affecting homeostasis within the body. Please reference these links to see which of the most common bodily systems are affected: http://url.ie/e5n6 and http://url.ie/e5nb. Also note many associations have been identified linking Celiac disease and other Autoimmune diseases in conjunction with each other. 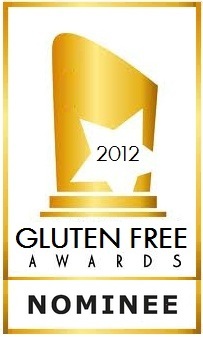 One common association is Celiac disease and Thyroid disease: http://url.ie/e5n7. Other associations are Celiac disease and Diabetes: http://url.ie/e5nd; Celiac disease and Dermatitis Herpetiformis (the skin, the largest organ of the body): http://url.ie/e5ne; and Celiac disease and Rheumatoid Arthritis: http://url.ie/e5nf. 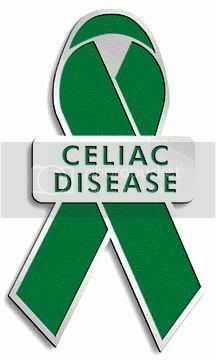 Celiac disease has also been linked to heart disease per this link: http://url.ie/e5ni. I’m sure there are other Gluten and Autoimmune disease associations I haven’t touched on here; in fact I’m certain of that fact. That said, it should give you and me pause to research and educate ourselves in how extensive gluten can be in wreaking havoc within our bodies. Good day to you. How do you find your Gluten-free, Celiac information in the 21st Century? Twitter, Facebook, or other Social Media; what about Internet Search Engine? I find the majority of my information regarding Celiac and Gluten-free by using the Internet or Twitter. For instance, if I want to know the status of gluten-free ingredients of a food product I can simply type “gluten free soup brand” into my favorite search engine (www.bing.com) and get the following result (one of many results): http://www.glutenfree.com/index.cfm/category/gluten-free-canned-soup. I can also type in “gluten free peanut butter brands” and get (again, one of many results): http://www.chacha.com/question/what-brands-of-peanut-butter-are-gluten-free. In regard to Twitter, I follow many people who are Celiac, Gluten-Intolerant, and have additional food allergies. I also follow people who are vegan or vegetarian. These people are providing great resources for you to lead a more healthful Life. Please exploit all resources which are available to you for free. While I do not follow Facebook or Pinterest, I do hear there are good resources there for Celiac and Gluten-free.